Get Engaged on VTA’s BART Silicon Valley Project! Home>News and Media>Connect with VTA>Get Engaged on VTA’s BART Silicon Valley Project! 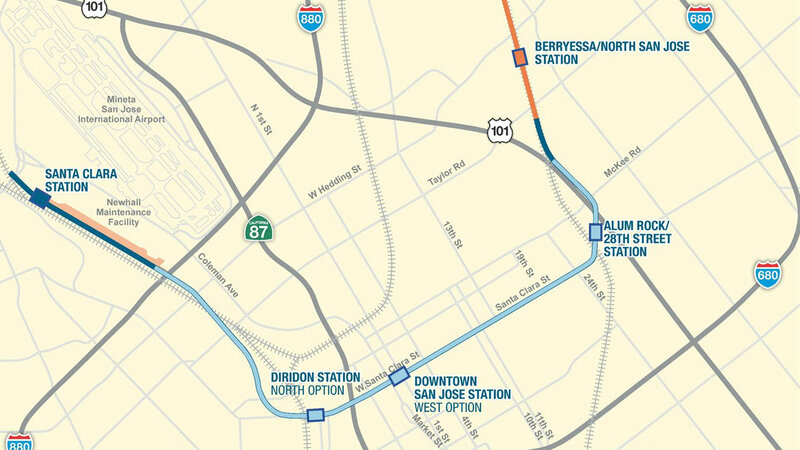 VTA’s BART Silicon Valley Phase II Project will extend BART service from the Berryessa/North San José Station and connect East San Jose, Downtown and Santa Clara. The six-mile extension includes five miles of subway and four stations. The Phase II Project is the largest transportation infrastructure improvement in Santa Clara County history. The new commute option is anticipated to take tens of thousands of cars off the roadways, connect employees to jobs, and provide continuous rapid rail service around the San Francisco Bay Area. As VTA and BART begin to embark on this critical transportation infrastructure project, a comprehensive and well-coordinated effort will be made to engage and communicate with project stakeholders and communities located along the corridor during all phases of the project. VTA’s community engagement team will work closely with residents and businesses that may be impacted by construction, anticipated to begin in 2019 through 2026. We are encouraging members of the public to sign up for upcoming news, notifications, and project information in general at www.vta.org/phase2info.